by Michelle Smith | Oct 26, 2017 | What is Circle Forward? by Michelle Smith | Jul 30, 2017 | What is Circle Forward? 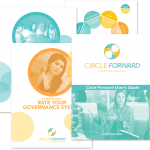 by Michelle Smith | Jul 12, 2017 | What is Circle Forward?